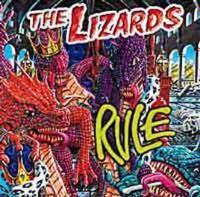 The second CD from the Lizards is entitled "The Lizards Rule". That title is quite appropriate because for fans of 1970's styled blues oriented hard rock, the Lizards do rule. Many reviewers are calling them "stoner metal", but I would have to disagree with that branding. As a fan of heavy metal in the early days, I would have to say that The Lizards only cross into "metal" territory in a couple of places on the disc. Instead, their sound is closer to the hard rock bands of the era like Deep Purple and Led Zeppelin. I would expect to see this one popping up on many rock critics' "best of 2003" list. These guys deservedly come into their hard rock chops. Lead singer John Garner was the drummer and vocalist for the 70's rock outfit Sir Lord Baltimore, while Bobby Rondinelli (the drummer of this group) has been in such notable bands as Black Sabbath, Rainbow, and his other current project Blue Oyster Cult. The band is rounded out by Patrick Klein on guitar and Randy Pratt (the human persona of Ambassador Randy of Star People fame). Another noteworthy mention regarding this album is the booklet. With its impressive cover art stills from various monster lizard movies, it is truly one of the cooler ones to come along the pipe in a while. All in all, if you are a fan of such 1970's stalwarts as Deep Purple, Uriah Heep and Led Zeppelin, you really need to check out this album. This is a fairly slow bluesy jam that rocks out quite well. Still a couple of quirky segments pull it almost into a prog vein for a short time. This, as most of the material here, could have come straight out of the 1970's. The number feels familiar in some ways, but no one leaning seems to really fit. 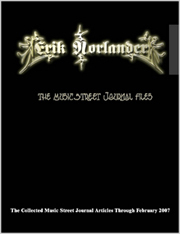 Zeppelin comes to mind, but so do Bad Company, Blackfoot and plenty of other bands. The string arrangement (by Lorenza Ponce) could have pulled this over the top, but seems to have been cut just short of pushing it over the top. The false ending do go on just a bit past the point of cool, but the final segment has a White Witch sort of texture that makes it worth it. This one is a little faster paced, and the bass line is not exceptionally complex, but definitely tasty and fits the song like a glove. This one sounds a bit like, dare I say it, Spinal Tap at times. That said, if you took the silliness from Tap what you would be left with is solid rock and roll, and that's what this one delivers. The instrumental break is especially meaty, and the latter section (with its mildly space rock/psychedelic texture calls to mind Captain Beyond a bit. Based on a faster riff, this one feels quite a bit like very early Rush, but the vocals come closer to a deeper register White Witch. It drops to a classic rock ballad style that is lifted quite a bit by its arrangement and a healthy addition of harmony vocals. The guitar solo here is classic, tasteful and very strong. These guys sure know how to through unusual touches into a style that could get a bit trite if not mixed around a bit. The string arranged (again Ponce) nearly-prog segment here is proof of that. This has the texture of a front porch blues cut (acoustic guitar, harmonica and all) as it starts. Eventually the other instruments join in, bringing up the intensity without altering the melody. The vocals on this are evocative and very strong, and the tune is all around a solid, fairly traditional blues jam. It features more harmonica in a solo mid-song. For this classic sounding rocker, The Lizards choose a funk driven format as the basis for much of the piece. The chorus, though, is probably the most solidly Zep-influenced portion of the album and is based on a great riff. There is also a verse that is almost solely percussion that leads into another harmonica solo. That solo segment is another that strongly calls to mind early Led Zeppelin. This one is quite crunchy and about as close as the band comes to heavy metal. 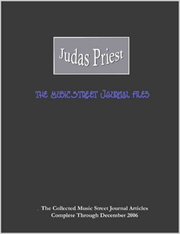 It has a texture that feels like a cross between Black Sabbath, Deep Purple and White Witch. The thick guitar sounds here are awesome. Another potent classic rocker, this is another that truly captures the essence of the genre without sounding like any specific band. The rhythm section starts this in rather jazzy form. This one is probably the most unique and hard to pin down cut on the disc. It seems almost to be in a constant state of flux but is always entertaining and invigorating. This is a slower, menacing sounding number with strong funk leanings. It is definitely given a lot of magic by a killer bass sound. Another that comes close to metal, this fast paced rocker has some really tasty guitar riffing, and it feels quite a bit like Uriah Heep or Deep Purple or even Dio. The chorus is quite strong, mainly because of the strength of the vocal performance.